Best Commerce as its name is probably the best free eCommerce WordPress theme. The theme is feature-rich and powerful that empowers WordPress users to create full-fledged online stores. 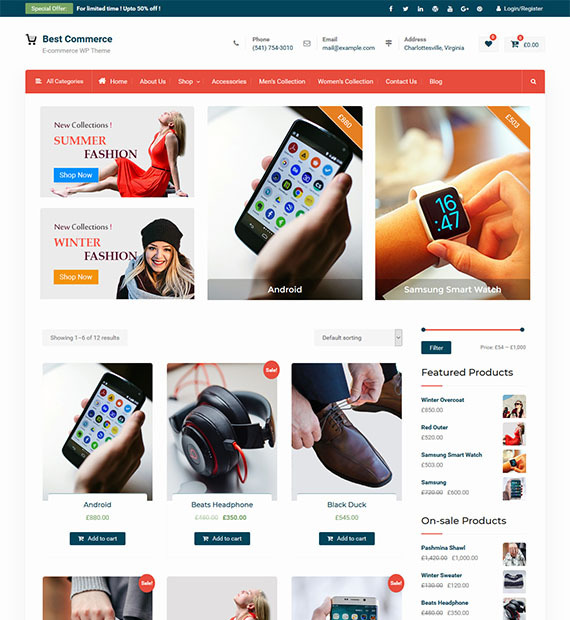 Built with WooCommerce, Best Commerce provides just a simple solution to small and large vendors to sell goods online. On top of everything, it features an attractive design so that you can showcase the products in your store beautifully. It is fully responsive and retina ready.